My bunny nail art accent survived Easter, despite drowning it in a gooey batch of butter, marshmallows, colored sugar and rice cereal to create cute Rice Krispies Treats shaped like eggs. 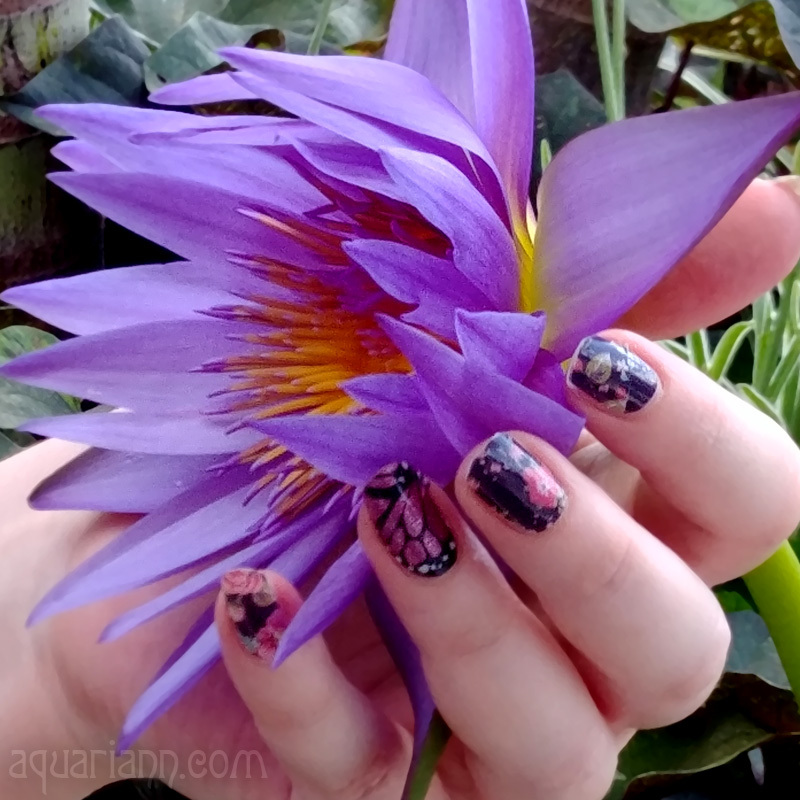 Thus I don't have new nail art to share, just a different shot of my Carmen Ombre manicure for those that missed it in my Jamberry tips guest post on Katie Crafts last week. I hope you get a few more sales before the party is over!!! Wish I could buy them all!! Very cute!! I actually just purchased a purple/fuchsia nail polish today by Wet&Wild and I love it. It was only 2.00 and it goes on so smoothly. That's a great deal! I have so many favs. I love all the fun prints! 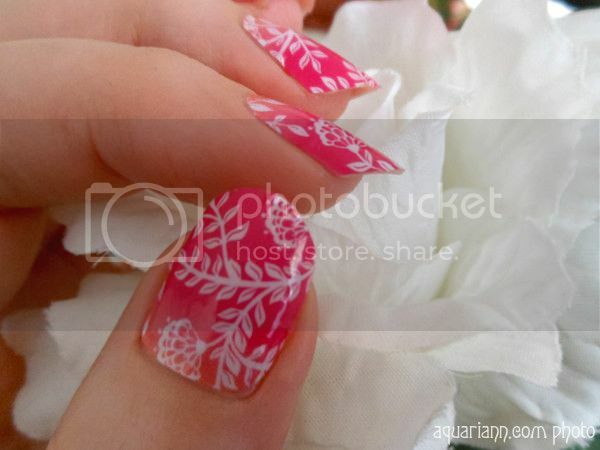 This is a pretty set of wraps for spring time! I was hoping to get another set myself this week, but it looks like I'll have to wait. I hope your party did well, though. No time for a manicure, here . . .but your's is beautiful! So springy!